No word on how much it might cost. 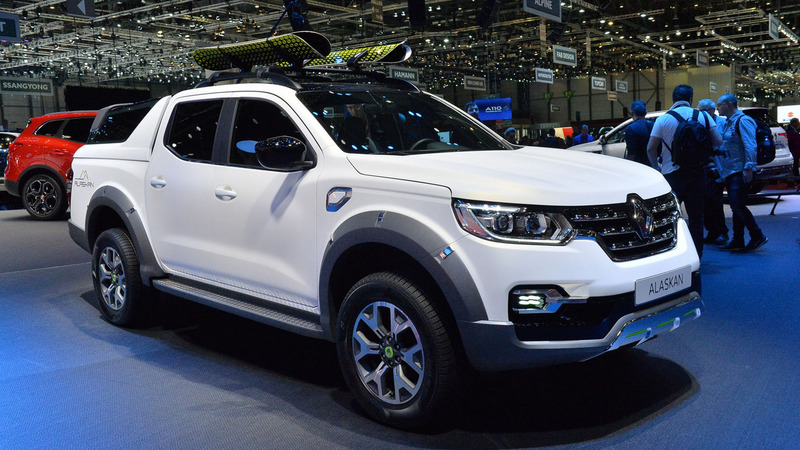 The Renault Alaskan, France’s counterpart to the Nissan Navara and the new Mercedes-Benz X-Class, is expanding its reach to even more markets. First introduced in South America in 2016, the French marque for the first time will be offering the one-ton pickup in Europe. Powered by a 2.3-liter dCi diesel engine, the Alaskan comes with either 160 or 190 horsepower (119 or 141 kilowatts), a towing capacity of 2,205 pounds (1,000 kilograms), and a hauling capacity of 1,630 pounds (739 kilograms). All that power is paired to either a six-speed manual or a seven-speed automatic, with three available driving modes: two-wheel drive, 4H full all-wheel-drive, or 4LO. That type of performance puts the Alaskan squarely in competition with other European offerings like the Toyota Hilux and Ford Ranger (soon to be available in the U.S.). A 0-60 mile-per-hour (96 kilometers per hour) sprint can be dealt with in just about 12 seconds, while top speed is capped at just 100 mph (160 kmh). "Following ALASKAN’s release in Latin America, its availability in Europe is further evidence of Renault’s global ambitions,” said Ashcan Gupta, Global Head of Renault-Nissan’s LCV business. "ALASKAN is a robust, powerful pick-up that has been designed to meet the needs of demanding business customers and private buyers alike." The Alaskan, Renault hopes, will capitalize on the growing one-ton pickup market in Europe, which registered growth of 25 percent in 2016, and 19 percent already throughout the first half of 2017. Renault has more than 9,000 dealerships and sales outlets in the region, making its relatively easy to market and sell the small pickup. The Alaskan is built at Renault’s Cuernavaca, Mexico; Barcelona, Spain; and Cordoba, Argenta assembly plants. No word on how much the pickup will cost when it becomes available to European buyers later in the year. Initially unveiled in Colombia in 2016 and already a success in Latin America’s long-standing pick-up market, Renault ALASKAN goes on sale in Europe starting in September 2017. Availability of a particularly wide range of tailored services, conversions and accessories to cover the full spectrum of customers’ needs. 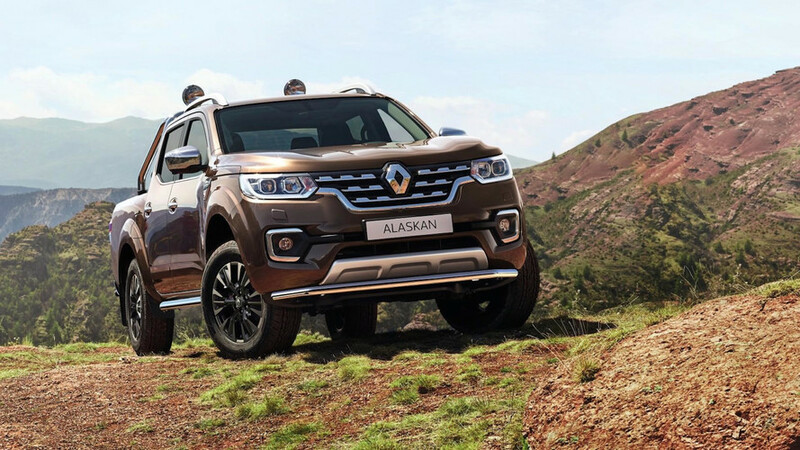 “Following ALASKAN’s release in Latin America, its availability in Europe is further evidence of Renault’s global ambitions. ALASKAN is a robust, powerful pick-up that has been designed to meet the needs of demanding business customers and private buyers alike.”Ashwani Gupta – Global Head of Renault-Nissan LCV Business. “Renault is entering Europe’s particularly buoyant one-tonne pick-up segment which registered growth of 25% in 2016 and 19% in the first half of 2017. As a major player in the LCV market and with a network of almost 9,000 sales outlets across Europe, Renault continues to extend its range with ALASKAN.” Jean-Christophe Kugler – Chairman of Europe Region.